The Prince of Wales celebrates his seventieth birthday today, and to mark the milestone, we're devoting today's above-the-fold post to a trio of jewels featuring the symbol of his title: Prince of Wales Feathers. 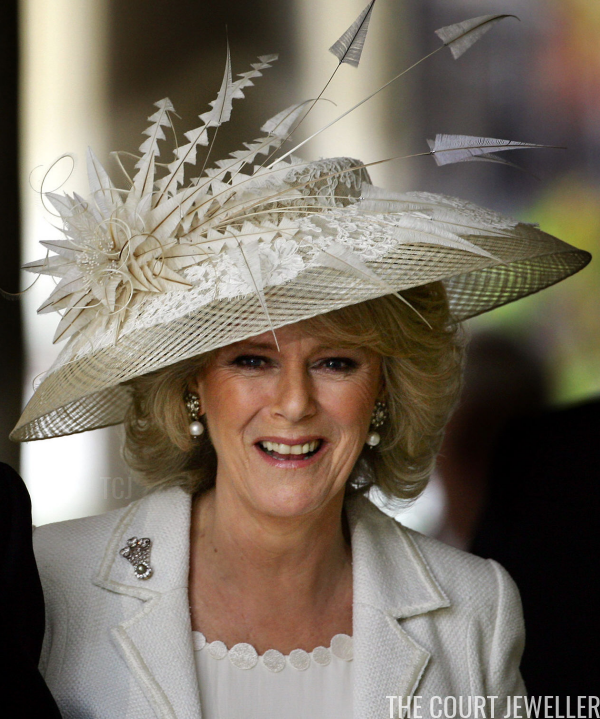 The Duchess of Cornwall has had this petite brooch featuring the Prince of Wales Feathers in her collection since the 1990s. 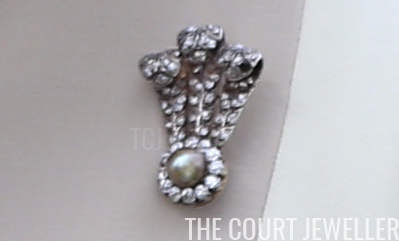 The brooch features diamond Prince of Wales feathers gathered by a single gray pearl and diamond cluster. The pearl cluster stands in place of the usual gold coronet that gathers the three ostrich feathers on the traditional heraldic badge of the Prince of Wales. 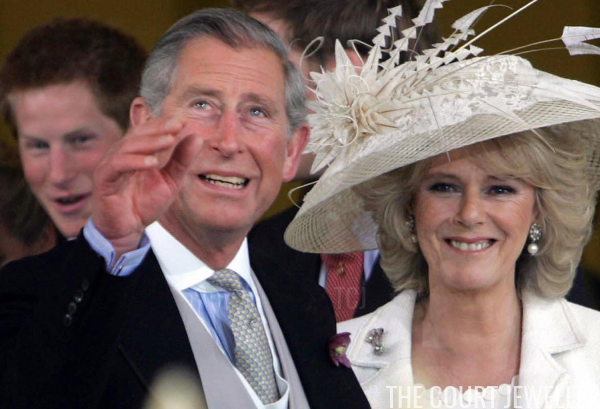 Camilla has worn the brooch on numerous occasions, and it still makes frequent appearances today. But its most important moment undoubtedly happened in 2005, when she wore the brooch for her civil wedding ceremony in Windsor. 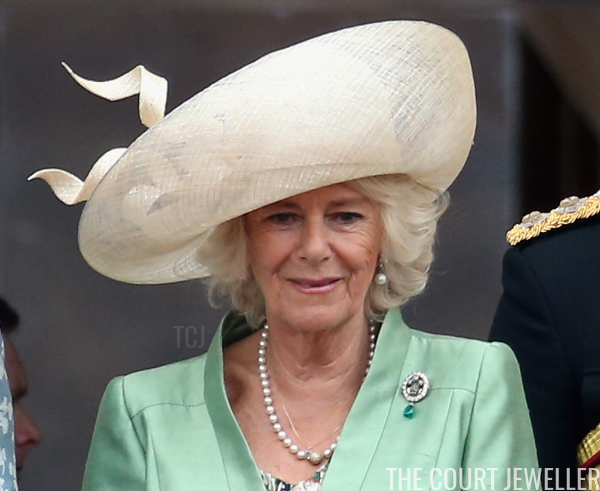 Camilla also wears an heirloom royal brooch featuring Prince of Wales Feathers. The brooch, which has a distinctive emerald drop, was among the wedding gifts presented to Queen Alexandra when she married King Edward VII (then Prince of Wales) in 1863. 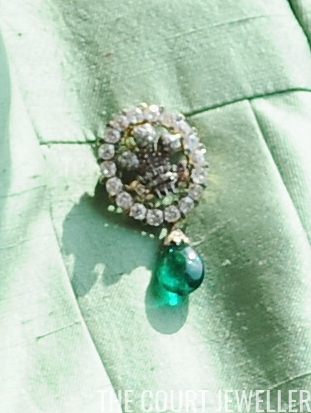 Teeny emeralds and rubies are also scattered throughout the brooch's diamond design. 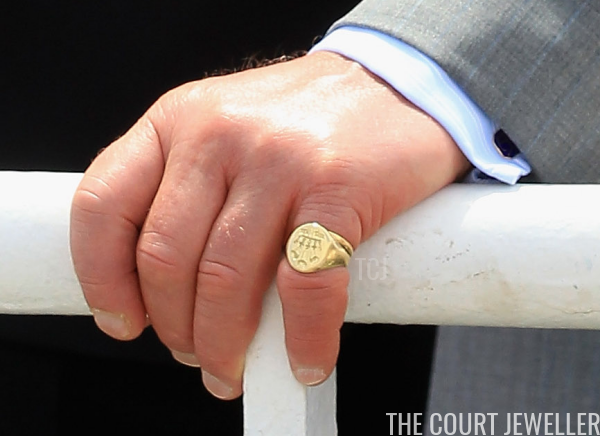 And, of course, the Prince of Wales himself regularly wears an accessory emblazoned with the symbol of his royal title. 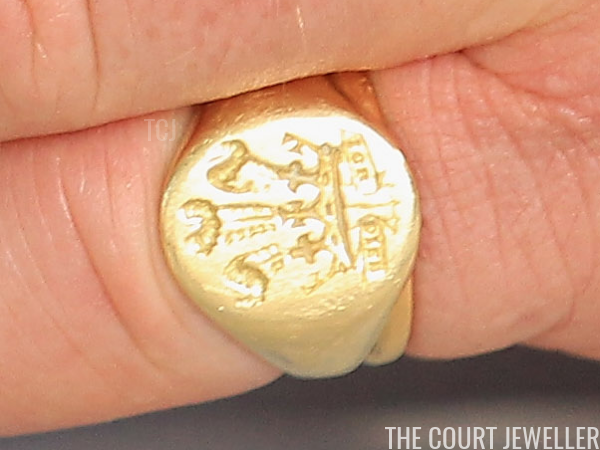 Charles's signet ring features Prince of Wales Feathers stamped in gold, including the official motto of the title: Ich dien, or "I serve."